Dr. Catherine Doldirina is a space law expert and an independent consultant on matters related to intellectual property law and space activities, general questions of space law, as well as legal and policy issues regarding access and use of various types of data. Catherine worked as a researcher at the Joint Research Centre of the European Commission (Italy), with the focus on policies and regulations regarding access to and use of geographic and Earth observation data. She is the former Chair of Space Generation Advisory Council (2011-2013). She is engaged in legal research related to space activities since 2005. Her expertise lies in the field of intellectual property law, some fields of European law, (geographic) data policies and regulations, as well as general questions of space law. In 2011 she defended her PhD thesis entitled “Remote sensing data and the common good” at the Institute of Air & Space Law, McGill University (Montreal, Canada). She lectured on European competition law, European copyright law and space law at various universities in Canada and Europe. 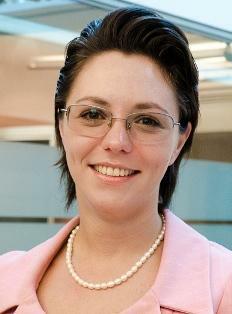 She authors work on various aspects of space law and is an active member of the International Institute of Space Law.